If you can’t stand the heat, then heck, just embrace it. 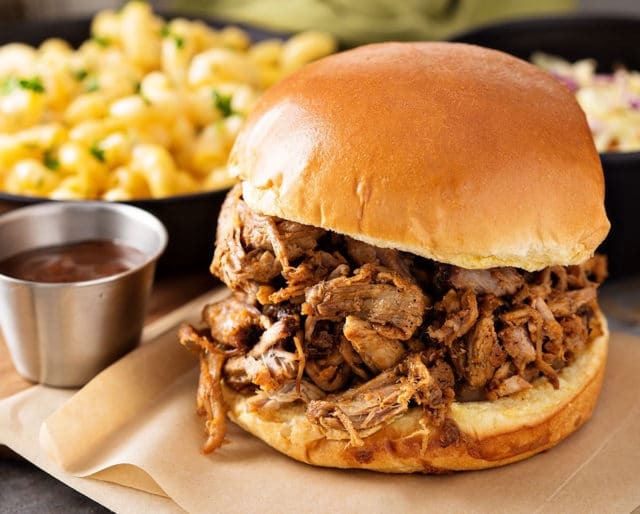 This May, celebrate National Barbecue Month in style and enjoy the culinary art that embraces the spirit of friends, family, and fun in the sun. With techniques including smoking, roasting, baking, braising and grilling, barbecuing offers endless possibilities to fire up your favorite dish and satisfy all as you kick off summer. Note: No one is really sure when barbecueing was first invented. It has evolved over time to become the more social event now common, however its origins are unknown. Barbecues become one of the main forms of public celebration — especially on July 4. Samuel Johnson's 1756 dictionary gave the following definition: "Barbecue — a hog dressed whole." Gonzalo Fernández De Oviedo y Valdés, a Spanish explorer, was the first to use the word "barbecoa" in print in Spain. Barbecueing is an all-inclusive activity. Need a break? Just grab the nearest observer, tag out for a breather and take your turn making a dent in the dinner spread. The traditional food typically associated with barbecueing is meat, but feel free to experiment with an assortment of vegetables and even desserts. Fried pineapple? Yes please! Like any other cooking technique, everyone has their own unique style of barbecueing. Allow yourself to be open to new ideas and methods, and you will almost certainly stumble upon a new favorite dish. Depending on what is getting cooked, barbecuing times can vary a great deal. Some slow barbecuing techniques can take as many as 18 hours or longer. The longest barbecue measured 8,000 meters in Bayambang, Pangasinan, Philippines in 2014. Barbecue varies by region, with the four main styles named after their place of origin: Memphis, North Carolina, Kansas City, and Texas. It doesn't just mean grilled meats. The term barbecue is also used to designate a flavor added to food items — think potato chips. It can be "barbeque" or "barbecue"
There are few words in the English language that have more variations of spelling than barbecue. Some barbecue joints spell it with a French influence, as "barbeque." Technically speaking however, in English, it is officially spelled “barbecue”. Unlike inside parties, where you might hear “get out of my kitchen," barbecueing invites guests to participate in the cooking event. Onlookers gather to show their approval and admiration, and chefs get the pleasure of cooking with an audience. Barbecueing flirts with each of the five senses — enticing hunger through seduction. Just thinking of the smell conjures up memories of the whole scene: the sun on your neck, classic rock in your ears, and delicious pulled pork on your taste buds. While warm sun and a cool breeze are ideal conditions, barbecuing knows no limitations. No matter the weather, fire up the grill, and enjoy the great outdoors.